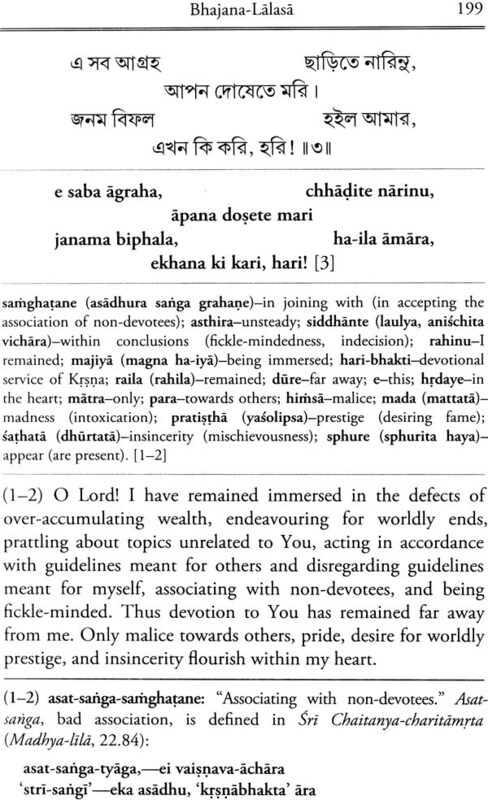 Sri Krsna Chaitanyadev has clearly declared within this mate- rial world the message that the fortune of Sri Krsna-prem, divine love for Sri Krsna, which condemns the four ends of conven- tional religion-dharma, piety; artha, wealth; kama, enjoyment; and moksa, liberation-is the fifth and supreme end of human life. Sarnagati is the sole means to obtain that topmost end of human life. To enlighten the jivas conditioned in the material world about this, and to reveal the process of saranagati, Sri Krsna Chaitanyadev Himself descended, along with His eternal asso- ciates and divine abode Sri Nabadwip Dham, He taught sarana- gati through His own practice and preaching, as well as through the practice and preaching of His capable servants. 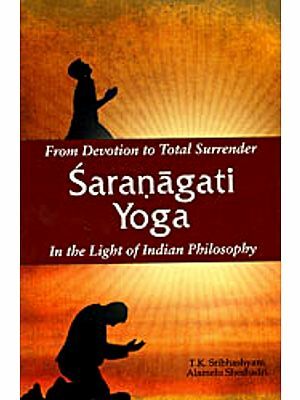 Some time later, one of His devotee-associates, Srila Bhakti Vinod Thakur, gave extensive guidance about the practice of sarangati through analysis and description of its limbs and sub-limbs, in this small book named Saranagati. 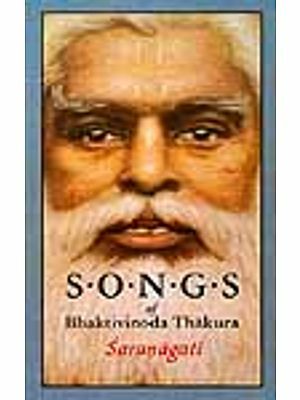 Prior to Srila Bhakti Vinod Thakur, other achdryas also spoke at length about sarangati. 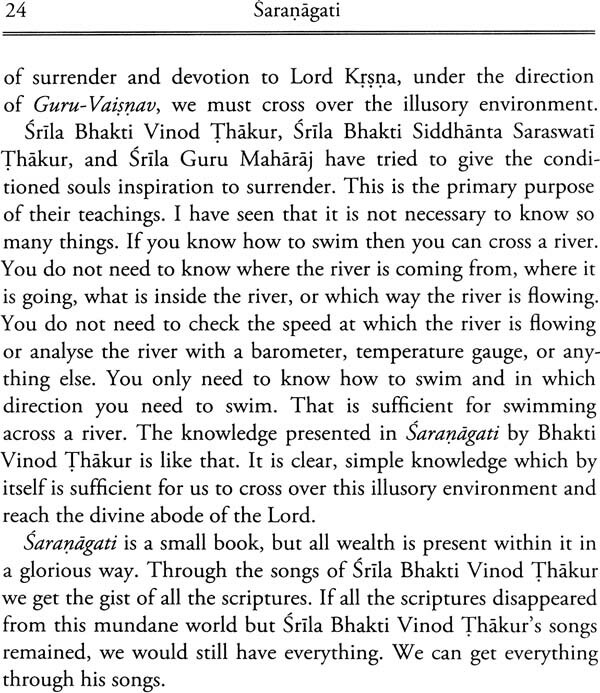 Additionally, the fundamental teach- ings of sarangati are found within Srimad Bhagavad-gita and srimad Bhdgavatam. 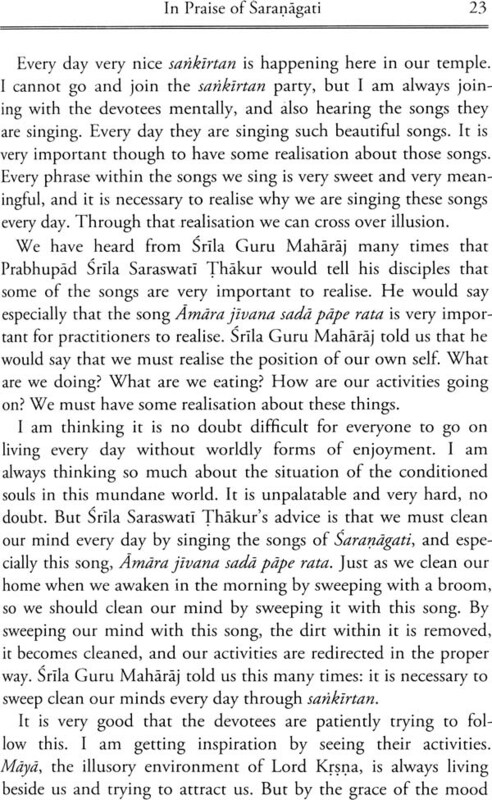 The subject of sarangati is also especially well known within the Sri sampraday. Still, the way in which Sri Krsna Chaitanyachandra has revealed the fundamental nature of sarangati is unparalleled; He has taught that sarangati is the appropriate means of obtaining the fortune of the divine loving service (prema-seva) of Vrajendra Nandan Krsna, the whimsical enjoyer of the wives of the cowherd men of Vraja, whose divine form is the origin of the Absolute Truth. 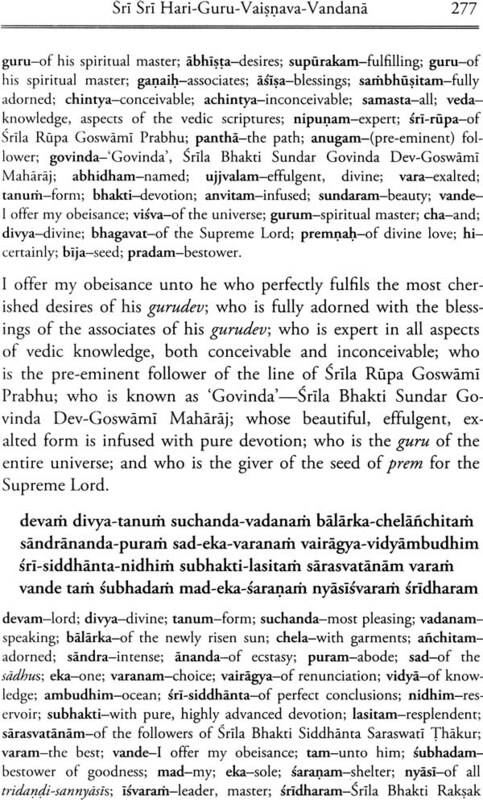 Therefore, in order to distribute these illustrious teachings of sarangati, Srimad Bhakti Vinod Thakur has invoked the benediction of that supreme munificent origin of all Avatars, Sri Chaitanyachandra, by first mentioning His name while establishing the theme of his treatise within his invocation of auspiciousness. 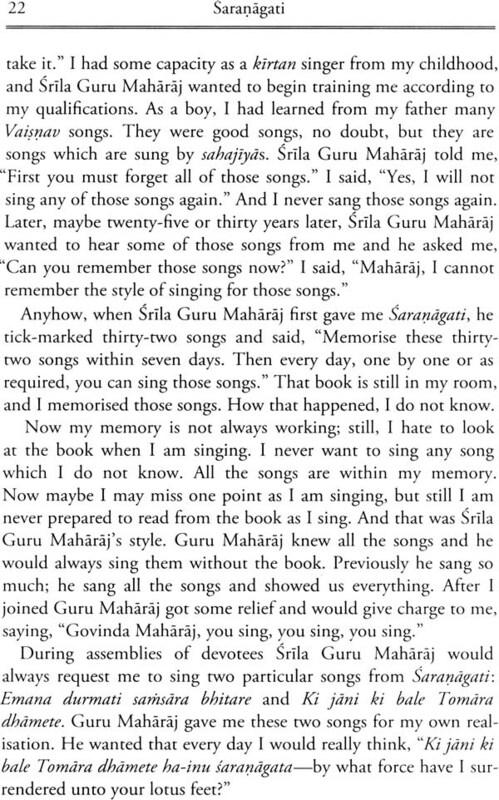 With overflowing joy in my heart, I would like to begin by offering my obeisance unto my spiritual masters, the devotees, and the readers of Sarnagati, praying this publication is pleasing to them all. 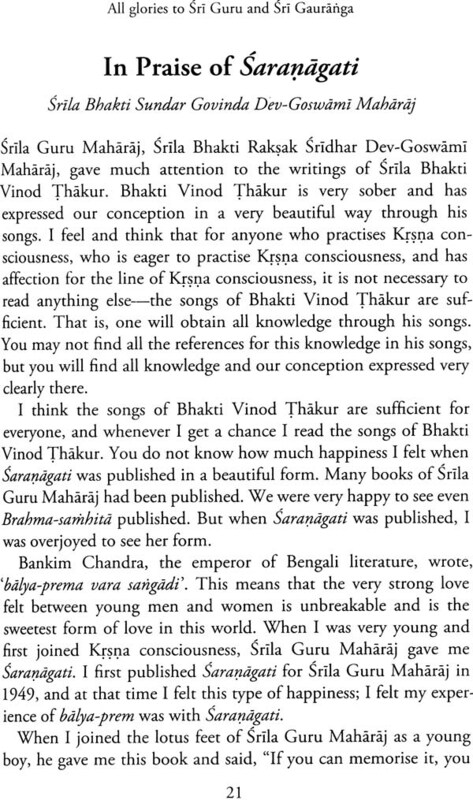 In this introductory note I will briefly explain the contents of this book as well as the method by which it has been presented Following this introduction is a short compilation of expressions by Srila Bhakti Sundar Govinda Dev-Goswami Maharaj and Srila Bhakti Raksak Sridhar Dev-Goswami Maharaj in praise of Sarnagati, and an English translation of the Editor’s Note from the original 1949 Sri Chaitanya Saraswat Math Bengali edition Thereafter, the text of Sara1Jagati herself is presented along with the Sri Laghu-chndrika-bhasya. 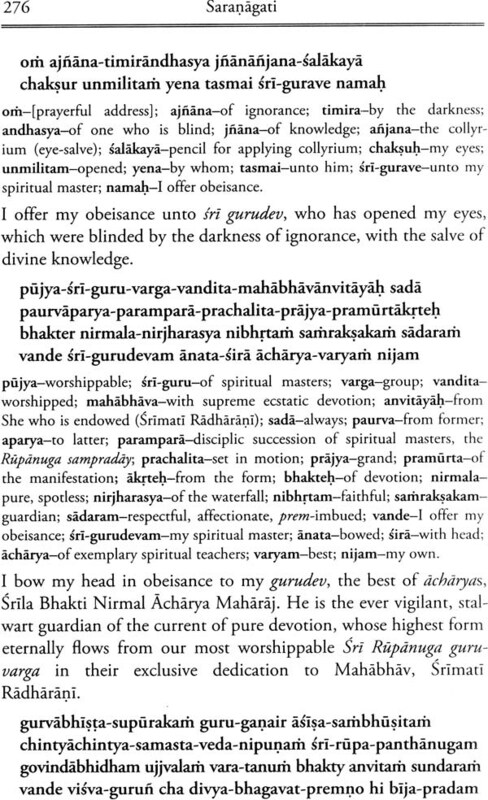 In accordance with the 1949 edition, sections entitled ‘Saranagatera Prarthana’ (a collection of prayers compiled from Srimad Bhagavatam and other scriptures) and Sri Sri Hari-Guru Vaisnava-vandana (a set of prayers recited daily in Sri Chaitanya Saraswat Math) have been included These sections conclude the Sri Laghu-chandrika-bhasya Following these, a poem by the commentator entitled Ma Muncha Pancha-Dasakam, which deeply illustrates saranagati’s integral mood of dainya, humility, is presented as an appendix Lastly, an introductory guide to reading and pronouncing Bengali is provided. 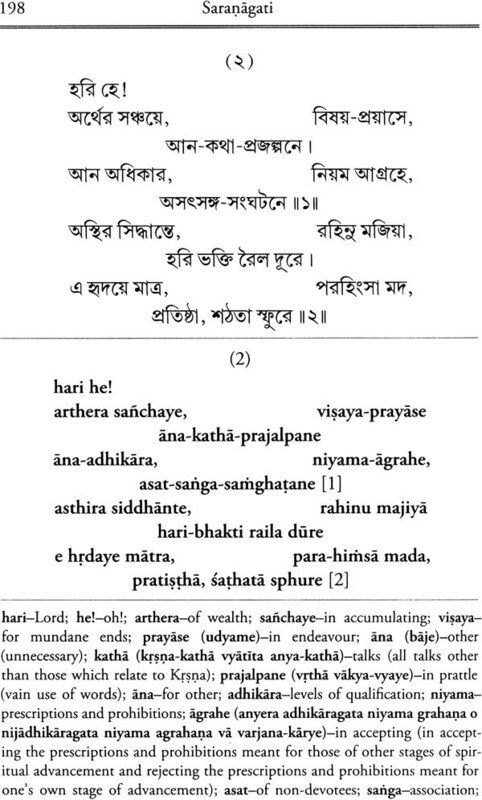 The verses of Sara1Jagati have been presented in a five-fold format: 1) the Bengali text of each verse; 2) its Roman transliteration; 3) its word-for-word gloss; 4) its prose translation; and 5) a translation of the commentary on the verse from the Sri Laghu-chandrika-bhasya. 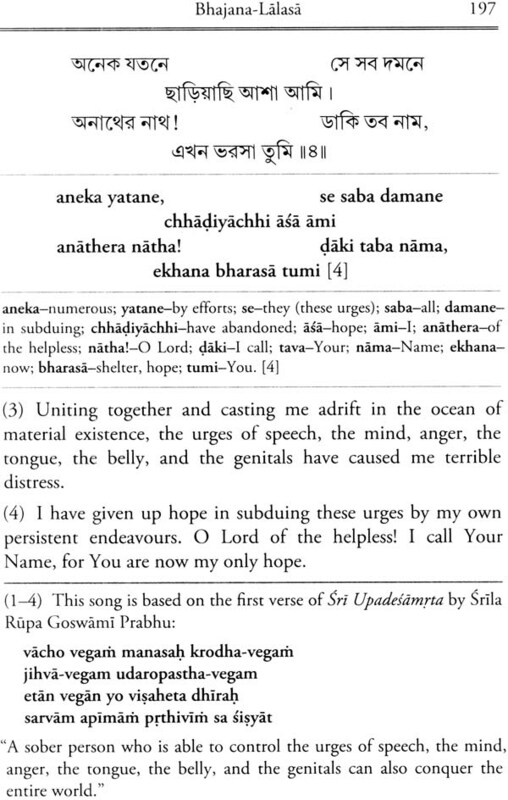 The Sri Laghu-chandrikd-bhasya consists of three types of annotations: 1) synonyms: common sadhu-bhasa or chalit-bhasa forms of rare or esoteric sadhu-bhasa and Vraja-bhuli expressions; 2) scriptural references: citations of verses from texts such as Srimad Bhdgavatam, Sri Chaitanya-charitamrta, Sri Bhakti-rasamrtasindhu, and so forth, which reveal the origins and profundity of expressions within the verses; and 3) explanatory prose: short explanations of significant or enigmatic words or concepts within the verses (in many cases the Bengali prose explanations are themselves citations from other writings of Srila Bhakti Vinod Thakur). 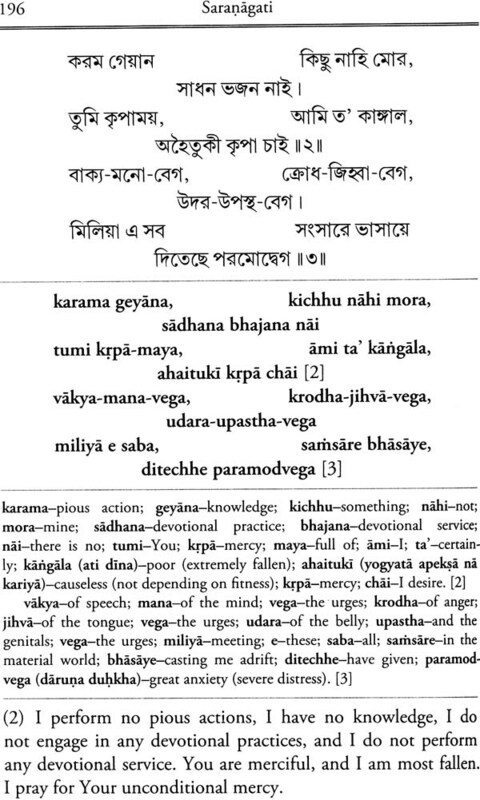 The Bengali synonyms given in the Sri Laghu-chandrika-bhasya have been presented in parentheses within the word-for-word gloss Where the synonyms are virtually identical in meaning to the original text, no additional translation of them has been given In all other instances the synonyms have been translated and presented in parentheses All the scriptural references have been translated and presented as notes below the prose translations of the verses to which they refer The Bengali explanatory prose has been translated and presented in some instances in parentheses within the word-for-word gloss, and in all others as notes. 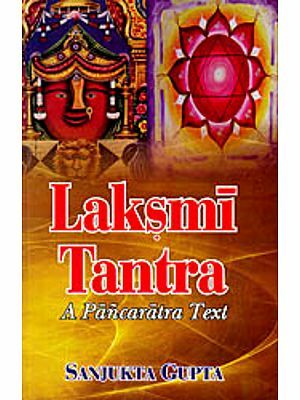 With regard for the direct, heart-touching simplicity of the original text, as well as the brevity and feel of the commentary (styled laghu, lit ‘light’ or ‘gentle’), the translation has aimed at simply and clearly conveying the concepts and sentiments expressed within the text using language that is succinct and readily understandable As far as possible, the use of English idioms, embellishments, affectations, and so forth, has been avoided The axiom mitancha sarancha vacho hi vdgmita, ‘True eloquence is speech that is concise and essential’ (Sri Chaitanya-charitamrta: Adi-lila, 1.106), has been the guiding principle. 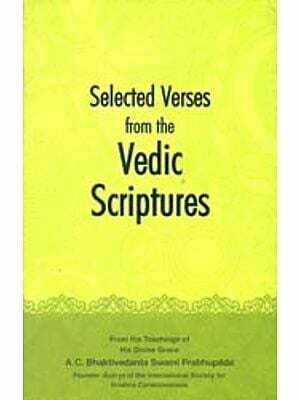 All translation has been undertaken with reference to relevant treatises: most commonly Srlla Bhakti Raksak Sridhar Dev-Goswami Maharaj’s Sri Sri Prapanna-jivanamrtam, Srila Bhakti Vinod Thakur’s Amrta-pravaha-bhasya and Piyusa-varsini-vrtti, and Srila Bhakti Siddhanra Saraswati Thakur’s Anubhasya and Anuvrtti.